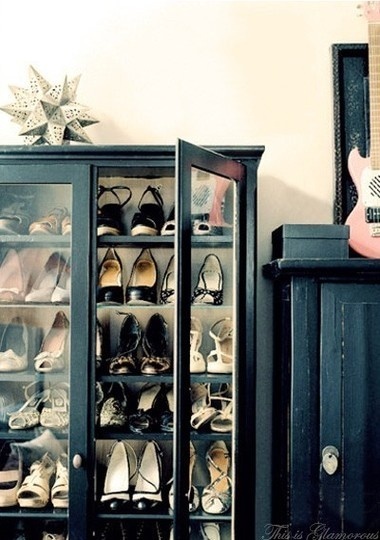 Today's Home Decor Post is all about shelving. With house prices in Vancouver rising, a lot of people are having to downsize. b) they give you nice storage options without making a room feel too cluttered or cramped. 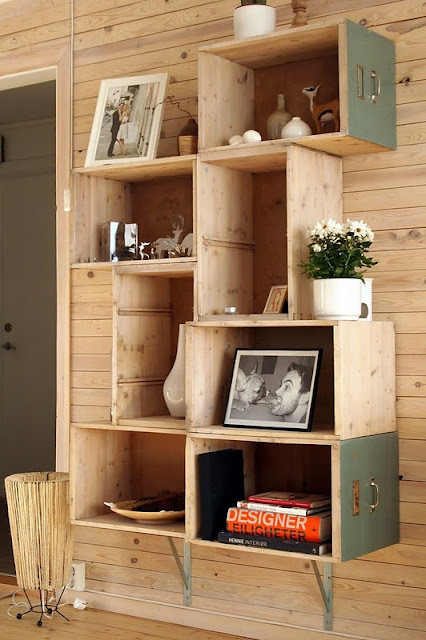 I love this type of shelving because not only does it act as shelving for your various items, but it also acts as a room divider if you want some separation for two different spaces. 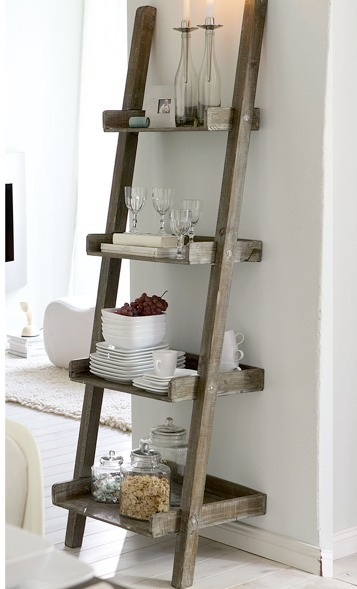 Ladder shelving is a unique way to showcase various items. 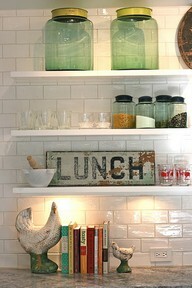 I love how they've added dishes to these shelves - great for houses that have small kitchens and lack cupboard space. 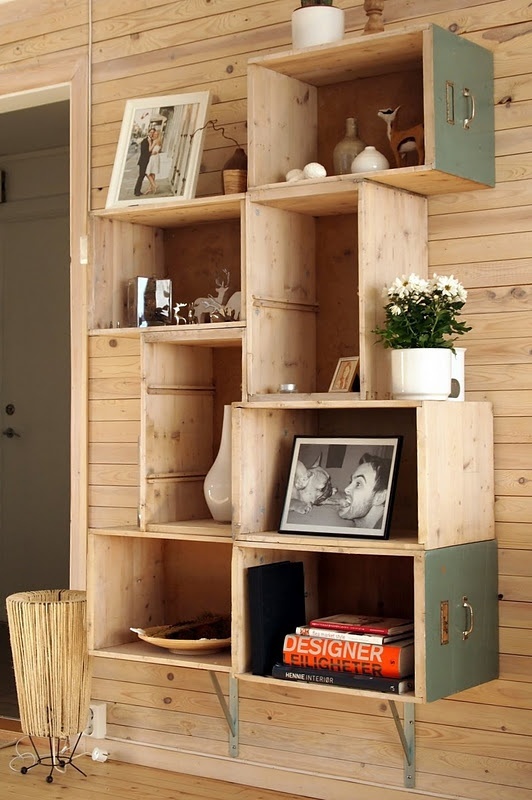 I love this shelving - it looks like they've used old drawers and made shelving out of them. I love the uniqueness and interest it creates to the room. I love these kitchen shelves. Great for added storage, accessibility when your cooking and overall, doesn't it just look cute?